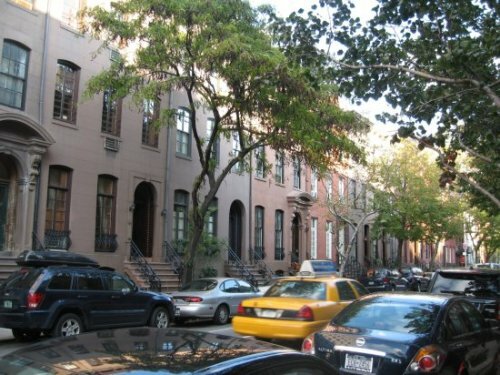 Unlike Hell's Kitchen which we posted about two weeks ago, NYC's Chelsea neighborhood has been on the gentrification upswing for over 30 years. Now, it's as pleasant and cheerful as any neighborhood in the city. While it's known as a heavily gay area, it seems just more youthful than anything else. Tons of young professionals, and cozy�1800s townhouses. A darn civilized place to live in. I don't see any gay people in that picture. For all the people walking around, I thought it was odd that my random snapshot was devoid of humans. There were plenty of folks around, non-vampires. Just snapped the shot at the wrong moment, I guess.